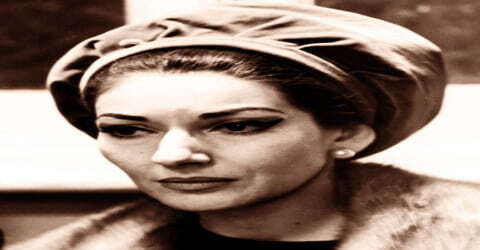 Maria Callas – American-born Greek soprano. An American-born Greek operatic soprano who revived classical coloratura roles in the mid-20th century with her lyrical and dramatic versatility, Maria Callas was born at Flower Hospital (now the Terence Cardinal Cooke Health Care Center), 1249 5th Avenue, Manhattan, the U.S. on December 2, 1923, to Greek parents, George Kalogeropoulos (c. 1881 – 1972) and Elmina Evangelia “Litsa” (née Demes; originally Dimitriadou; c. 1894 – 1982), although she was christened Maria Anna Cecilia Sofia Kalogeropoulos (Greek: Μαρία Άννα Καικιλία Σοφία Καλογεροπούλου). Callas’s father had shortened the surname Kalogeropoulos first to “Kalos” and subsequently to “Callas” in order to make it more manageable. She was one of the most renowned and influential opera singers of the 20th century. Many critics praised her bel canto technique, wide-ranging voice, and dramatic interpretations. Her repertoire ranged from classical opera seria to the bel canto operas of Donizetti, Bellini, and Rossini and further, to the works of Verdi and Puccini; and, in her early career, to the music dramas of Wagner. Her musical and dramatic talents led to her being hailed as La Divina. After World War II, Callas moved to Italy to launch her career there. Her Italian debut was a performance of ‘La Gioconda’ at the Verona Arena. Her performance in ‘Tristan and Isolde’ and ‘Turandot’ made her a celebrity figure in Italy. She has performed Bellini’s ‘Norma’ many times. She married Giovanni Battista Meneghini, an industrialist, and toured South America. Her collaboration with the Italian genius, Tullio Serafin, was highly productive. Apart from performing at Milan’s La Scala, the most cherished and renowned of opera houses, she performed at the Lyric Opera of Chicago, and the New York Metropolitan Opera. Her affairs with business tycoon Aristotle Onassis and separation from her husband took a toll on her personal life and career. Many performances got canceled and this adversely affected her career. 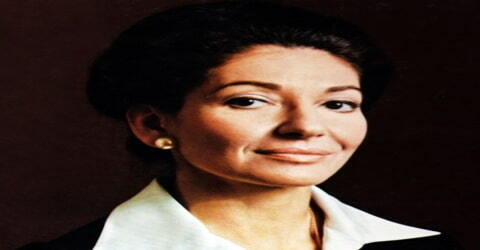 The fame and legacy of Maria Callas are nearly unsurpassed in the modern history of opera. Her fame has transcended the usual boundaries of classical music, and she has been the inspiration for several movies, an opera, and a successful Broadway musical. Her extensive catalog of recordings remains among the most coveted and controversial for both her fans and detractors. Her dramatic weight loss enhanced her beauty but seemed to have affected her voice. She was honored with a Lifetime Achievement Grammy posthumously. 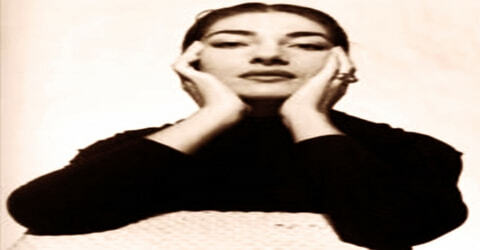 Maria Callas received her musical education in Athens. Initially, her mother tried to enroll her at the prestigious Athens Conservatoire, without success. At the audition, her voice, still untrained, failed to impress, while the conservatoire’s director Filoktitis Oikonomidis refused to accept her without her satisfying the theoretic prerequisites (solfege). In the summer of 1937, her mother visited Maria Trivella at the younger Greek National Conservatoire, asking her to take Mary, as she was then called, as a student for a modest fee. Initially tutored by Maria Trivella at the National Conservatoire, she impressed the Spanish soprano Elvira de Hidalgo in an audition and was instructed by him at the Athens Conservatoire, from 1939. Between 1949 and 1959 Maria Callas was married to a wealthy industrialist Giovanni Battista Meneghini, who began to manage her career. It was Meneghini’s love and support that gave Callas the time needed to establish herself in Italy, and throughout the prime of her career, she went by the name of Maria Meneghini Callas. There were many rumors as to how this soprano shed the extra flab- one such interesting rumor was that she had swallowed a tapeworm. This soprano was shortsighted and refused to wear her glasses or contact lenses. It was frustrating for conductors who hoped the singer would watch for tempos. Maria Callas’s professional debut came at age 16 in a minor role in Suppe’s Bocaccio. While still in Athens during World War II, Callas sang her first Tosca in 1942. Sometime later, watching Callas rehearse Beethoven’s Fidelio, erstwhile rival soprano Anna Remoundou asked a colleague, “Could it be that there is something divine and we haven’t realized it?” Following Tiefland, Callas sang the role of Santuzza in Cavalleria Rusticana again and followed it with O Protomastoras (Manolis Kalomiris) at the ancient Odeon of Herodes Atticus theatre at the foot of the Acropolis. During August and September 1944, Callas performed the role of Leonore in a Greek language production of Fidelio, again at the Odeon of Herodes Atticus. In 1945, Callas returned to the United States and sang several auditions, but nothing came of her visit. Her first appearance in 1947 at Verona as La Gioconda brought her to the attention of Tullio Serafin; Serafin became her musical advisor for many years, acting as her coach and conductor of many of her performances. Though her performance was a success, she found work hard to come by. But, after she sang ‘Isolde’ in Italian under Serafin, she began to be engaged for work mostly in Turandot, Italy. In 1948, Callas sang ‘Norma’ in Florence. This was the first time she performed the opera. Over her career, she would perform the opera 89 times. She sang at the Teatro Colon in Buenos Aires, Argentina, in 1949. Her husband Meneghini had become her manager. He was responsible for developing her career in the next couple of years. In 1949 Callas first appeared in Rome, Buenos Aires, and Naples and in 1950 in Mexico City. Her powerful soprano voice, capable of sustaining both lyric and coloratura roles, was intensely dramatic; combined with her strong sense of theatre and her scrupulously high artistic standards, it took her quickly to the forefront of contemporary opera talent. Her abilities made possible the revival of 19th-century bel canto works, notably those of Vincenzo Bellini and Gaetano Donizetti, that had long been dropped from standard repertoires. In 1950, Callas sang ‘Aida’ at the Teatro alla Scala, but she did not become a regular member there until 1952. The summer of 1950 took her Mexico City where, in one month, she sang Norma, Aida, Tosca and Il trovatore. During these early years, Callas would sing nearly any role offered including Isolde, Leonore in La forza del destino, Constanza in Mozart’s Die Entführung aus dem Serail, and Elena in I vespri siciliani. 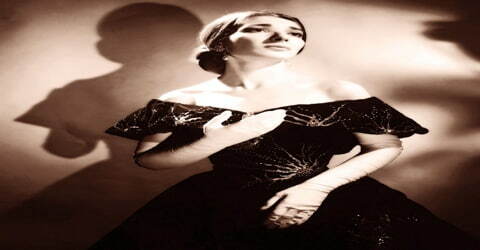 In 1951, Callas won over La Scala with ‘I Vespri Siciliani’ and received critical acclaim. She went on to perform in 26 operas at the World’s main opera house. In 1952, Callas debuted in London at the Royal Opera House as Adalgisa in ‘Norma’, with veteran mezzo-soprano Ebe Stignani. Her “a love affair” with the House continued for a good 13 years. Following a contract with EMI, her first commercial recording as Lucia di Lammermoor, complete opera recordings at La Scala of ‘I Puritani’ and ‘Cavalleria Rusticana’ and ‘Tosca’ were done in 1953. Her American debut took place in November 1954 at Chicago’s Lyric Opera in the title role of Norma, a performance she repeated before a record audience at the Metropolitan Opera in New York City. Callas’s recordings were enthusiastically received, and she was one of the most popular singers of the period. Her much-publicized volatile temperament resulted in several protracted feuds with rivals and managers. Maria Callas was notably instrumental in arranging Franco Corelli’s debut at La Scala in 1954, where he sang Licinio in Spontini’s La vestale opposite Callas’s Julia. The two had sung together for the first time the year previously in Rome in a production of Norma. Anthony Tommasini wrote that Corelli had “earned great respect from the fearsomely demanding Callas, who, in Mr. Corelli, finally had someone with whom she could act.” The two collaborated several more times at La Scala, singing opposite each other in productions of Fedora (1956), Il Pirata (1958) and Poliuto (1960). Their partnership continued throughout the rest of Callas’s career. In 1955, Callas was sued by her former manager, Eddie Bagarozy, who claimed to be her sole representative and wanted compensation for the expenses incurred by him. The case was settled out of court. She made her first appearance at the Metropolitan in New York in 1956. Callas performed ‘Norma’, ‘Tosca’ and ‘Lucia”. Despite being labeled an ungrateful daughter by the press, she received a standing ovation. By 1957, her voice developed a wobble which grew worse in the following years. Always a perfectionist, Callas was very difficult to deal with from a management point of view: she was fired from the Metropolitan Opera in 1958 and she was estranged from Teatro Alla Scala for several years. Her vocal decline coincided with the dissolution of her first marriage to Giovanni Meneghini and her affair with Aristotle Onassis. In 1952, Callas made her London debut at the Royal Opera House in Norma with veteran mezzo-soprano Ebe Stignani as Adalgisa, a performance which survives on record and also features the young Joan Sutherland in the small role of Clotilde. Callas and the London public had what she herself called “a love affair”, and she returned to the Royal Opera House in 1953, 1957, 1958, 1959, and 1964 to 1965. It was at the Royal Opera House where, on July 5, 1965, Callas ended her stage career in the role of Tosca, in a production designed and mounted for her by Franco Zeffirelli and featuring her friend and colleague Tito Gobbi. In 1958, scheduled to perform at the Rome Opera House before Italy’s president, Callas fell sick due to the previous night’s celebration and drinking. The performance was canceled, and she received much bad press. Her last stage performance was at the Royal Opera House, also known as Covent Garden, in 1965. She acted in the film ‘Medea’ by the Italian filmmaker Pier Paolo Pasolini, which was not successful. 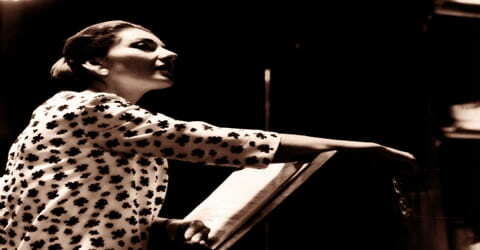 After 1959, Callas rarely appeared on the opera stage, but she did sing concerts in America and Europe. Her last opera performances were in June 1965, at Paris as Norma. She came out of retirement in 1973 to tour the world with Giuseppe di Stefano in a series of recitals. Although financially rewarding, the tour did nothing to enhance her reputation. In 1971, she gave a series of masterclasses at the Juilliard School of Music in New York which was quite successful. 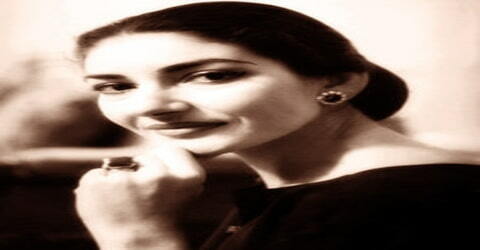 In 1966 Callas became a Greek citizen and relinquished her U.S. citizenship. She taught master classes in opera at Juilliard (1972) before the last U.S. and European concert tour (1973-74). By the time of her retirement, she had performed more than 40 different roles and had recorded more than 20 complete operas. Callas’s personality and philosophy of performance are powerfully depicted in Terrence McNally’s play Master Class (first performed and published 1995), based on her classes at Juilliard. Her final public performance was in 1974, in Sapporo, Japan. Voted the greatest soprano by BBC Music Magazine in 2007, Maria Callas was posthumously honored with the Grammy Lifetime Achievement Award. She was voted into the Gramophone Magazine’s Hall of Fame, five years later. Maria Callas spent her last years living largely in isolation in Paris and died of a heart attack at age 53 on September 16, 1977. A funerary liturgy was held at Agios Stephanos (St. Stephen’s) Greek Orthodox Cathedral on rue Georges-Bizet, Paris on September 20, 1977. She was later cremated at the Père Lachaise Cemetery and her ashes were placed in the columbarium there. After being stolen and later recovered, they were scattered over the Aegean Sea, off the coast of Greece, according to her wish, in the spring of 1979. Maria Callas was one of the most controversial singers of the twentieth century. She had a wide range from high E to the F below the staff, and an innate feel for the style of bel canto roles, but she was most notable for bringing a commitment and intensity to her dramatic portrayals that was nearly unprecedented at the time. In1944, Callas performed the role of Leonore in a Greek version of Fidelio, a German opera by Beethoven at the Odeon of Herodes Atticus. German critic Friedrich Herzog considered it her “greatest triumph”: In 1949, chosen as Elvira in ‘I Puritani’ at La Fenice at short notice, her incredible bel canto performance rekindled interest in the neglected operas of Cherubini, Bellini, Donizetti, and Rossini. 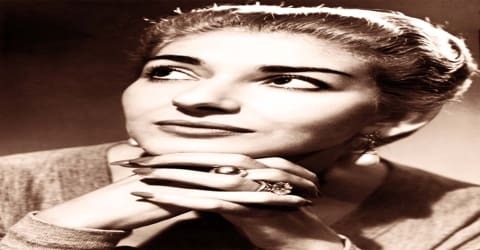 According to several Callas biographers Vasso Devetzi, a female Greek pianist near the same age as Callas, insinuated herself into Callas’s trust during her last years and acted virtually as her agent. 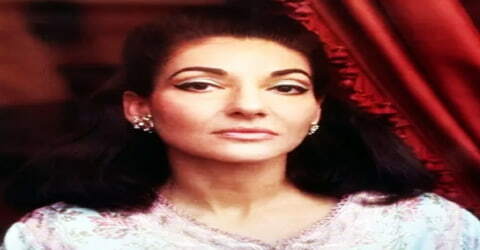 This claim is corroborated by Iakintha (Jackie) Callas in her 1990 book Sisters, wherein she asserts that Devetzi conned Maria out of control of half of her estate, while promising to establish the Maria Callas Foundation to provide scholarships for young singers; after hundreds of thousands of dollars had allegedly vanished, Devetzi finally did establish the foundation.